Such stunning reflections in the water. A magnificent piece of architecture. Amazing picture I love the perfect mirror image - beautiful. Fantastic, so beautiful "double" building. I love this reflection. What a beautiful building - and the reflection is stunning. Beautiful reflections and lovely looking building too. They make a perfect photo. Love the differences between that glorious building and the office type block. Thank you for visiting my blog. 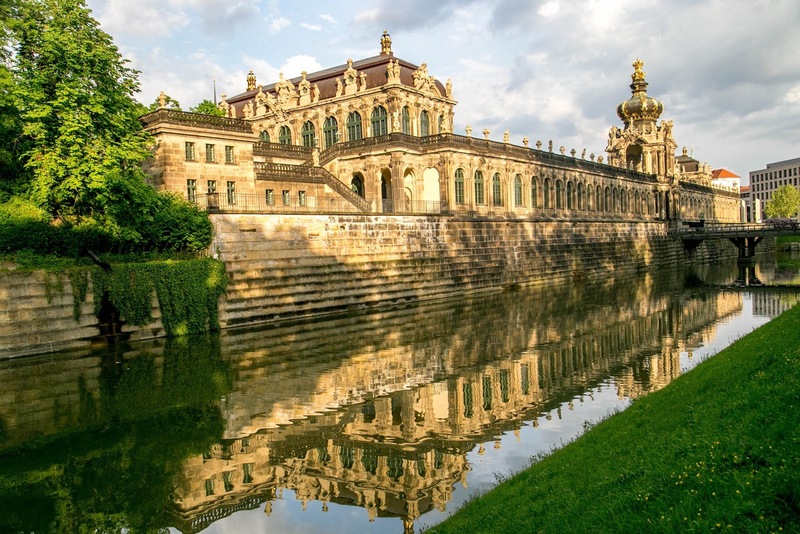 The place in my photo is a museum called the Zwinger in Dresden, Germany. Originally a mote went around the entire complex, but now it's just on the far two sides. Thank you for visiting my blog. The place in my photo is a museum called the Zwinger in Dresden, Germany. this is wonderful brooke. i love the reflections in the water. such a beautiful scene. Thank you for participating in the Saturday Silhouettes meme.